Is recycling an old content can do wonders when you’re looking for ways to boost your reach? 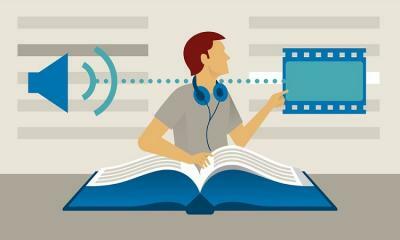 Discover these best ways to boost blog traffic by editing an old content. As a digital marketer, you might have heard that it’s easy to sell to an existing customer than to acquire a new customer. Same goes for content marketing. It’s much easier to reuse old content than to publish a new content. If you’re blogging regularly, then you may have tons of blogs in your archives. 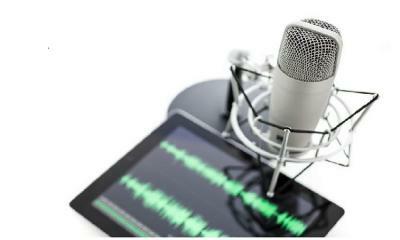 Editing an old content can help in increasing blog traffic by 60%. Though fresh content is certainly needed at regular interval of time, but recycling an old content can do wonders when you’re looking for ways to boost your reach. 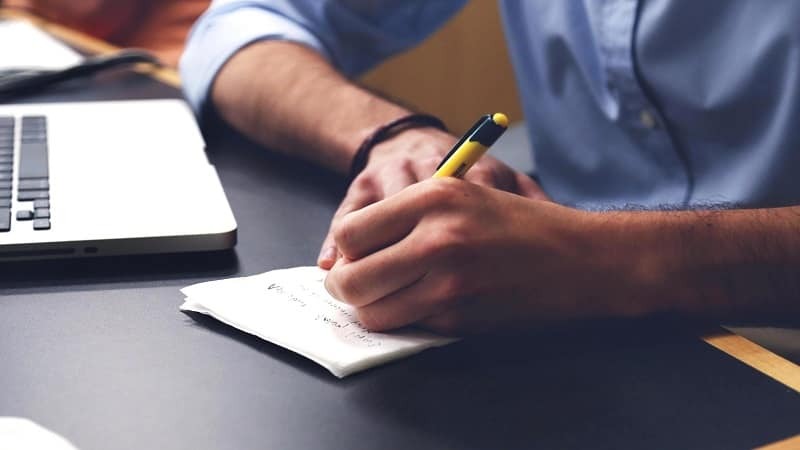 In this article, I have mentioned the 11 best ways which I’ve implemented myself to boost blog traffic by editing an old content. Title tags are the most critical element for both user experience and SEO. If you feel the need to change the blog posts’ title, try to keep keywords from the original while the URL is more important to keep the same. As your Title tag are representatives of your blog page, make sure that your title tag is relevant to your content. It should be catchy, short and to the point. Stats show that users click on titles that are short and thus this method will surely boost your conversion rates and traffic. By way of an example, let’s look at post on co-browsing practices. As you can see by optimizing title tag and adding the keyword, you can boost the rank of your old blog post. After editing the old blog, review the blog post’s Meta description. Is it still accurate? If you feel that you can still make it a little bit catchier then change it. 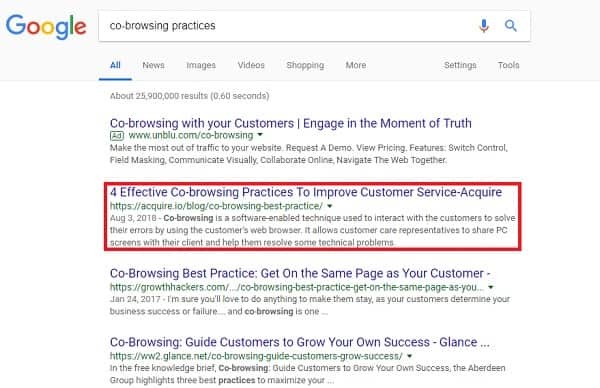 Remember, Meta descriptions do not affect the ranking of your content but it affects click-through rate from the search. Make sure you write Meta description keeping in mind what’s within the post. Ideally, a Meta description should be appealing and descriptive, so that it gives a clear understanding what the content is all about. 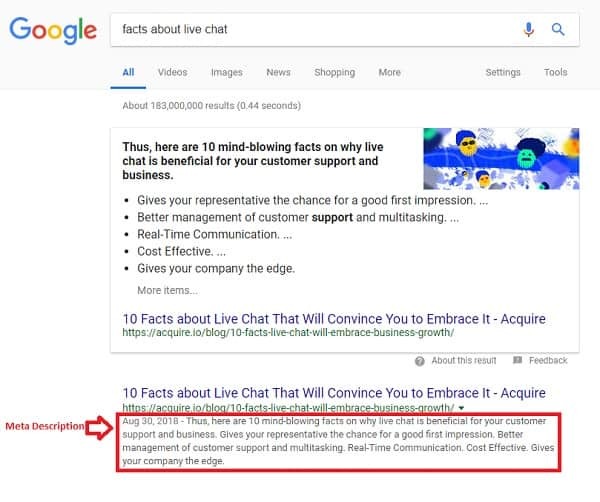 Another example from my blog on facts about live chat, Google displays this. 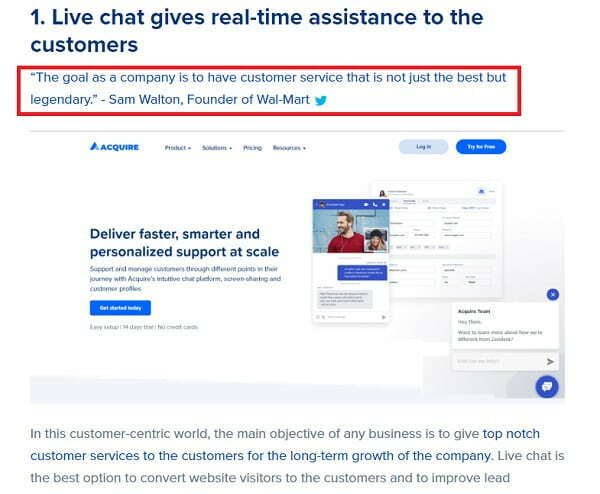 If someone searches for facts about live chat, those lines will convince the users and will make them click on my post. If your blog post do not convince the user and no one clicks on your post then it is complete waste of time. Images can generate a lot of traffic. So by putting more images with alt tags in the blog post can boost traffic. Search engines can’t read the image the way they read a text. So it is important that you add alt tags to images to make search engines understand what the image is all about. This is one of the best ways to boost blog traffic. By adding relevant famous quotes in your blog post, there is a great chance that people will tweet those quotes and thus this way you can attract more visitors to your blog post. As bloggers or website owners, we want that the content appears at the first page in the search results. There are many factors that play into getting your content ranking on the first page. After I found that most number of pages that rank in the first page has table of contents. I also tried it out for myself and added table of content in older post and I found that it ranked in the first page in 4th position. 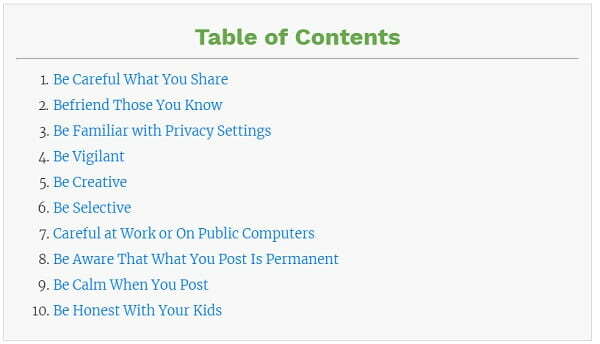 To create a table of content can easily be done in Wordpress, using a plugin. Add more content to old posts to make them more informative, longer and rank higher in search engines. Remove any outdated information and add up to date information. Google loves longer, informative posts. Add useful, current information to your old content in order to boost blog traffic. You can create subsections within your blog post. This is a great way to extend your content with some natural ideas. Similarly, Google suggestions and related searches at the bottom of a search result can be good places to look for additional content ideas. Change the feature image of old blog posts. If you’re blogging for many years your brand may have changed since you published your old blog posts. Update your image to match with your current brand. Create featured images that are consistent with your current color scheme and fonts. After editing your old post content; share it on all social media platforms. Research done by Tom Tunguz shows that promoting content, again and again, can boost up 75% of the engagement of the first post. For example – if you have invested $2000 in writing an article or blog, and if that article or blog was a big hit with your audience, use or social media platforms to repost the link. Each time you share your post, make sure you change the title and update the content. This approach will surely boost the traffic. Research some fresh keywords relevant to your post and target those keywords in your content. This is a great way to make your blog content more relevant and recognizable by Google. To get started, go to Google Search Console. Then click on “Search Analytics” under “Search Traffic” section. Find the same page that you used to make out which posts you want to optimize. 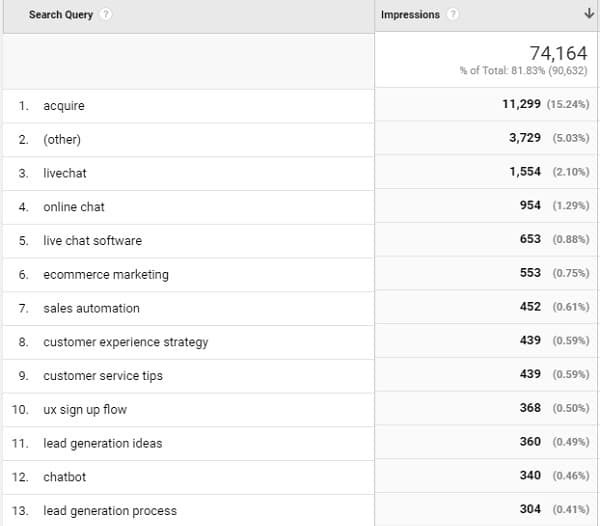 Next, sort the results of keyword queries by impressions. Those queries that are getting the highest number of impressions show up at the top of the page. Check the keyword that comes on top whether it’s relevant to the content or not. If it’s relevant then it should be your focus keyword. The rest of the keywords will become secondary keywords. That you can add here and there in your blog post. 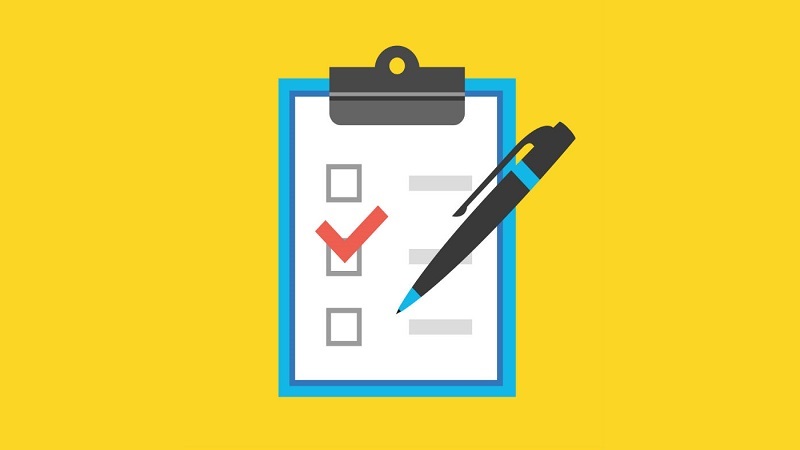 Follow this tactic for each of the posts you want to optimize. Next, find completely new keywords. 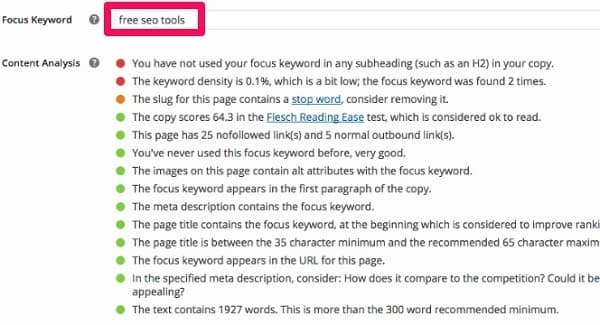 Once you’ve found the keywords, you can update posts with new keywords using Yoast’s Wordpress plugin. All you need to do is enter a keyword that you are thinking about using, and it will give you tons of recommendations. Now eliminate any red or orange points by making improvements. This plugin is free, which is a pretty great advantage. Lastly, work on improving your site’s readability. Break your content into paragraphs. Keep each paragraph to about 5-6 lines. Maximize your reader’s experience with short, easy-to-read paragraphs. 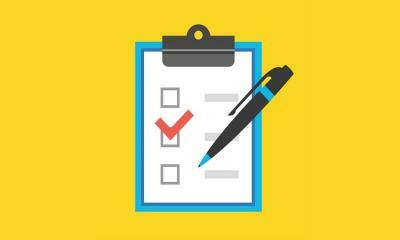 These are some of the ways which can help you to optimize your old content and can help you double your traffic and conversion rates. 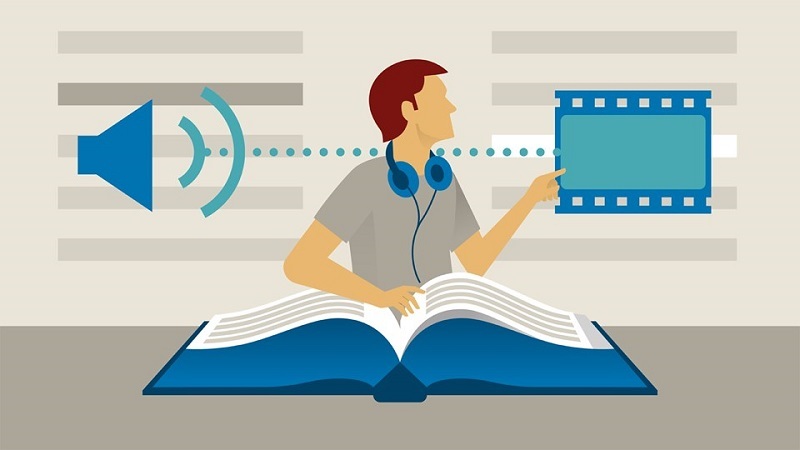 Once you improve your older content you can utilize it in many ways. You can add these updated blog posts to a “popular posts” section on your sidebar or share in a newsletter and many more.